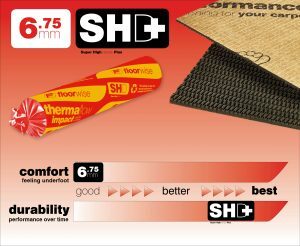 Floorwise has introduced a collection of underlays with low tog ratings suitable for most types of Underfloor heating. Designed for use with normal operating underfloor heating systems they will not produce odours or degrade when used at higher temperatures over prolonged periods of time. Normal operating systems are defined as those that produce floor surface temperatures of no more than 29°C for central areas and 35°C for peripheral areas. 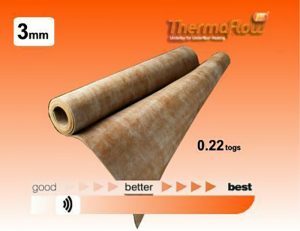 We always recommend that the advice of the heating manufacturer be sought to identify the maximum tog rating for the combined floor covering and underlay.